Thanks to Art Cook Repeat for the nomination as well! 1) Link the person who nominated you. 2) List seven facts about yourself. 3) Nominate 15 other blogs. 3)Some of my favorite style icons include: Kate Middleton, Lauren Conrad, Zooey Deschanel, and Audrey Hepburn. 4)Accessories are my favorite part of fashion! They are the most fun of any outfit and can easily dress up or down anything; bags, hats, shoes, jewelry, scarves, sunglasses, you can’t go wrong! 6)I never knew how to use Twitter until I started blogging….and now I can’t stop! 7)Before I became a teacher I was a graphic designer for one semester. (I might have added on 2 more blogs, there are just so many good ones!) Congrats to all the nominated bloggers, can’t wait to read your fun facts! 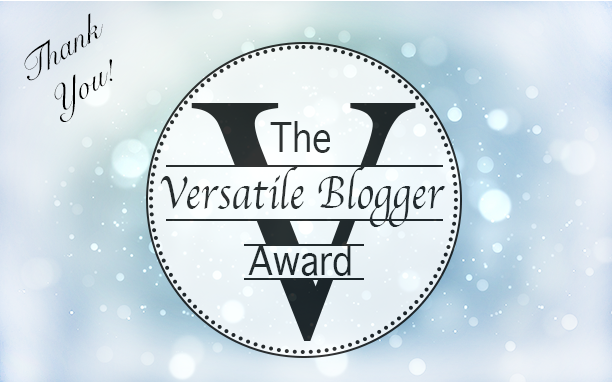 59 Responses to Versatile Blogger Award! ❤ ❤ ❤ ❤ ❤ Thank you! And Congratulations on being nominated 😀 Brownies are also my favourite!! Nice to know more of you! the fashion club iOS a great idea!!! We are now BFFs that I know you love New Girl! OBSESSED! Thanks for the nomination babe! Congrats and thank you for your lovely nominated. I appreciated that. It’s so nice to get to joined the fashion’s club in the university:). I love brownies too. :). Awe thank you to you as always too:). I do enjoy your blog;). I will see if I can put together:). Congratulations Lauren! I love reading your blog and look forward to each new DIY post 🙂 Well deserved! Thank you for the nomination. It was so sweet of you and I appreciate it. Congrats! I love your blog and style, this is certainly a very well deserved award to a fabulous blog! Thank you for the nomination ❤️ I love your post! Congrats on the award, so happy for you. Hope you win it. Love brownies and love/adore your fashion icons especially kate middleton. Good luck! !